I was told by my friend that his family is opening a new food restaurant somewhere at the inanam main bus stop. I never being so choosy in food because my tolerant demand to good tasty food is still low except for one particular dish that is “Bak Kut Teh“. I’m not writing about bak kut teh today, but on this particular restaurant that specialized in chicken rice. It is Hainan style chicken rice to be more accurate. 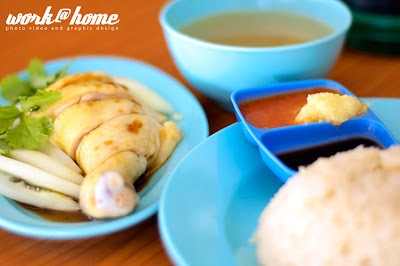 There are only few food restaurants that offer hainanese style chicken rice. Most of the food restaurants just have normal chicken rice served with normal rice. 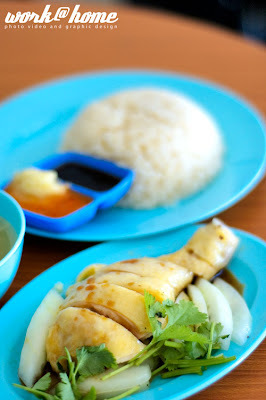 Hainanese style chicken rice is different from other chicken rice in term of the rice preparation and chilies blend. I rarely took photo on food. I did it one year ago. Taking photo shot of a food or dishes not really easy as thought. To have a good photo on food, one has to find a nice perspective and angle to project the food and taste. So, the first thing in food photography is the texture and detail of the food. People tend to influenced by the food texture and detail of the food. Second is the color of the food. People tend to choose a basic color and bright food compared to dull and dark color food. That why most of the food photography look bright and colorful. I choose to eat lunch at my friend’s place because of its hainan style chicken rice. The chicken they used for the chicken rice was fed organically in farm without extra supplement of vitamin and fat. I tasted most of my friend’s cooking and most of them taste good without cutting down and compromised the original ingredient. 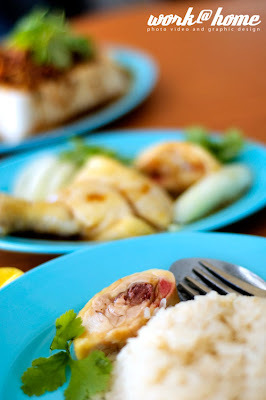 This chicken rice is drumstick portion and cost more and it is about RM6.00. The normal price for other part cost at RM4.00. 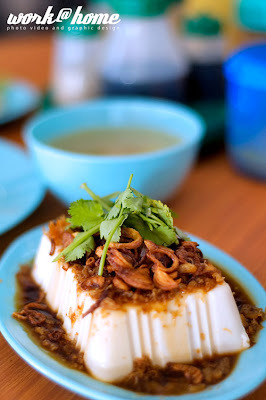 The next dishes called soft tofu with crispy dry prawns, friend onion as topping and sauce of sesame oil. This is a big portion of tofu to be served. 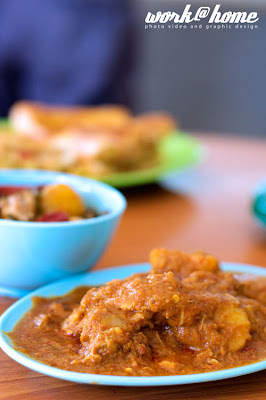 They will be serving a smaller portion of tofu with the price range around RM3-4 ringgit. This one is called Yi Ping Wo. I don’t really get the taste of this food because i never taste it before. So, it is hard to tell whether it delicious or not. If you want to know, just go to there and try it yourself. This one was called roti hainan. 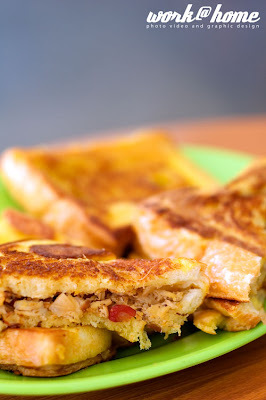 Something toasted bread with something filling inside a pure hainanese breakfast dish. It cost RM1 a piece and quite cheap for a breakfast. I wrote a review and location details at ravejoint website. If anyone of you all want to give a try on this restaurant click here for the direction and food update for this restaurant.